Things are coming along with my Summer Magic party sewing. 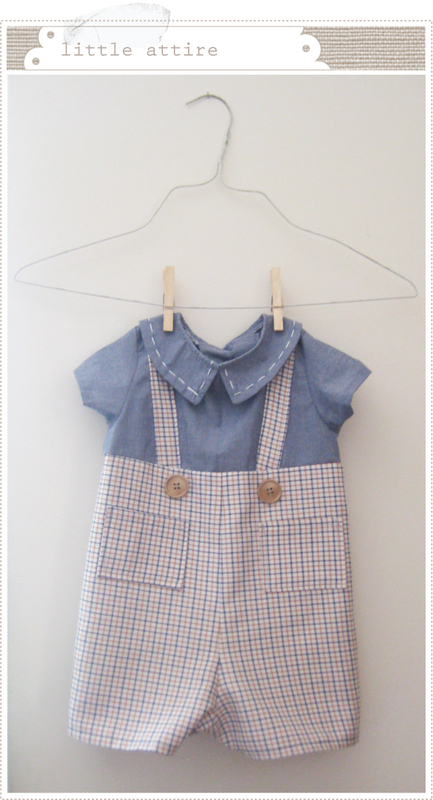 I still have some finishing touches to do on this little overall number for baby O but I'm happy with it so far. I tried it on him and it's to die for. Truly. 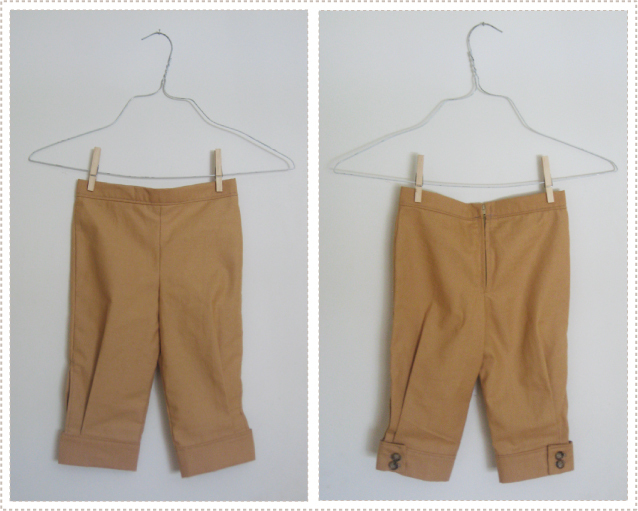 And here are little A's knickers that I mentioned earlier. They are a tad too wide for him at the waist so I'm thinking I'll turn them into overalls or make some suspenders to attach to them. A white shirt and little bow tie are just what I need to complete the look. I also want to see what ma and pa sewing I can squeeze into my schedule before the 4th. I hope I can do what I'm scheming up because I have half a mind to get some family photos with us all gussied up and vintage like. what a cute little outfit! your blog is gorgeous, i love it. So adorable. I use to sew for my little people♥ Good memories. Great job! Those are adorable! Great job! Those are amazing Mer! I love the fabric for the overalls. Do you use a pattern or make it up? You have too many talents for one person, I can't handle it! Please get a portrait. I can already see it in my head. Did you stitch the collar on Olivers outfit or did you use a fabric pen? The Knickers are adorable. These will definitely transform them! They are really sweet. what a great idea to do a portrait. These are toooo cute!! I wouldn't be able to keep my hands off it. You're amazing! oooh, how cute! loving your blog. I also love your blog! i just discovered it and that's great timing as i am a new mom of a 3 week old boy and am looking for cute boy clothing and patterns. Are the clothes you made your own design or can i find a pattern somewhere?